Looking for more energy? 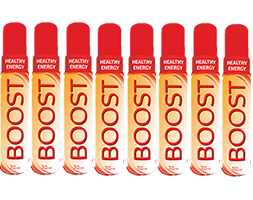 Try our BOOST Energy Spray. Whether you're an athlete looking for something to pick you up for a workout, or you are just tired in the morning, our BOOST Energy Spray will give you the daily boost you need! Our high absorption delivery system is perfect for people sensitive to coffee and energy drinks. 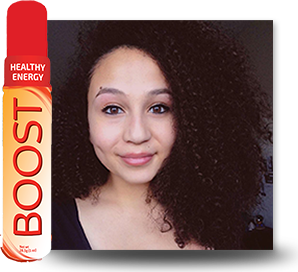 BOOST is healthy, convenient, and will save you time & money! Being a student, I sometimes have to stay up till 3 AM and then wake up again at 6 AM to head to school. For a long time, I struggled to keep my eyes open while doing my work. I don't drink coffee because of the crashes it brings, and tea was never effective. Ever since I started using BOOST, my eyes are wide open and waking up at 6 isn't hard. I’m now able to get much more work done late at night! I love the Boost spray because I have to wake up very early for work and I'm sensitive to coffee. 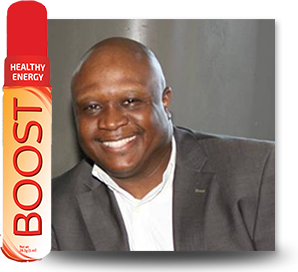 The Boost gives me a burst of energy that helps me get my day started and even help me get through the day when working late. I don't feel the crash effect like I did when I use to drink energy drinks. Plus, I can carry it with me everywhere I go. Boost will set you loose! I find Boost is an Instant Energy Ignitor. I needed something for an energy pre work out and I’ve tried so many products. 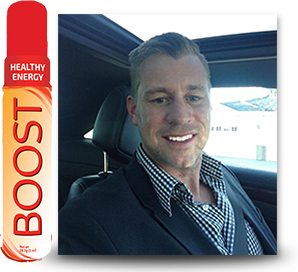 Boost has given me health energy on demand. This is amazing! Thank you MyDailyChoice! energize your life. choose your pack.